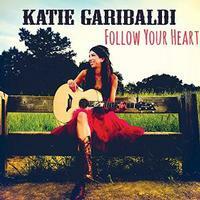 Hailing from California, Katie Garibaldi’s voice seems more tied to the deep south. She’s definitely got a country sound to her. Not all the music her fits under country, but a lot of it does. It’s all good, though. Mellow, slow moving country music is the concept on the opener. This is even mellower. It’s more like a folk meets soft rock song, though. It’s a pretty ballad. An energized number, this is more of a rock song. Here we get another more rocking piece. It has some hints of blues rock and a lot of Americana. There’s a cool rather jazzy jam later in the track, too. This time around we’re back in country territory. Energetic and fun, this is good stuff. Seeming to combine folk, soft rock and country music, this is energized and strong. This is probably the best song of the set. It’s got a great atmospheric texture in a lot of ways. Yet, it’s a rocker. It has a great balance between rocking and mellower sections. This is just plain cool. Folk rock is the idea here. There are bits of country in the mix, too. This is another that’s among the best here. This folk and soft rock piece is a love song. That was obvious from the title, right? There’s a lot more country in the mix on this energized piece. It’s not quite a rocker, but it’s definitely not a ballad. Although it gets a bit powered up, this is basically a pretty ballad. It’s one of the best pieces here. The vocals bring some country to this, but it’s more like a soft rock piece. As the arrangement gets more filled out later it takes on some jazzy sounds. This acoustic guitar based song is a country music styled piece. It’s not a ballad, but not a real rocker, either.